Collision Advice CEO Mike Anderson on Tuesday celebrated data showing the percentage of collision repairers reporting frequent success being paid for test welds had more than doubled since 2015. 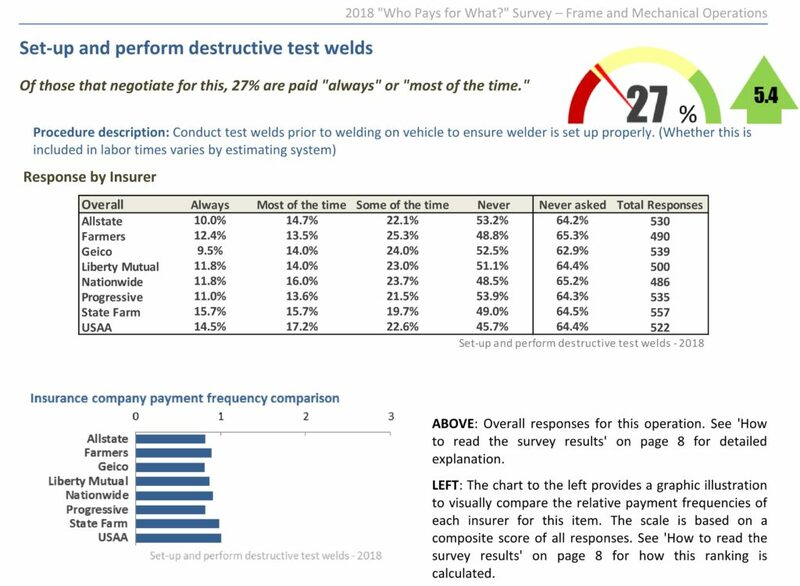 The newly released data came from Collision Advice and CRASH Network’s July frame and mechanical work “Who pays for What?” survey of more than 700 auto body shops nationwide. The quarterly studies ask how often collision repairers are successful in collecting reimbursement from some of the nation’s largest insurers for a variety of operations not always included within estimating system times. Anderson also said that about 81 percent of 2015 survey participants never even asked to be paid for the test welds, which experts and OEMs (here’s Toyota, for example) have called necessary — even if the welder’s computer says the weld is fine. By 2018, this amount dropped to “about 64 percent,” according to a news release. 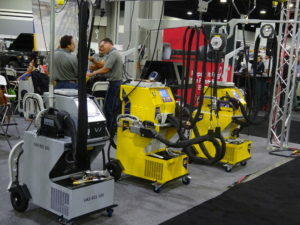 “Whether through the surveys or other training, shops are increasingly understanding the need to perform test welds, and can choose whether to bill for it when appropriate,” Anderson said in a statement. State Farm and USAA were the most consistent about approving payment for the work when asked. However, all eight of the insurers were still basically 50-50 on “never” paying for the operation when asked. USAA had the lowest proportion of shops reporting “never” being reimbursed, at 45.7 percent. Progressive was the highest, at 53.9 percent. The study put the overall 715-shop study margin of error at 3.7 percentage points with a 95 percent confidence level. However, Database Enhancement Gateway inquiries mentioned in the “Who Pays?” report show none of the three major IPs classifying the destructive tests as included procedures. Audatex confirmed in response to an August 2017 DEG inquiry that destructive test welds weren’t part of its labor time for a 2014 Audi A8 quarter panel replacement. The DEG user had reported that an insurer was claiming they were. Seeking more insight from “Who Pays?” co-author Mike Anderson? Learn more during the SEMA Show in Las Vegas with his course “OEM Repair Procedure Best Practices” on Oct. 31. The session is part of the Society of Collision Repair Specialists Repairer Driven Education Series Oct. 29-Nov. 2. Register here for individual RDE classes or the series pass package deal. CCC said the same in response to an August inquiry about a 2014 Audi S8. “In the CCC/ GTE Guide to estimating (P Pages) Welder Set up and Preparation is NOT INCLUDED which is located under Labor Time Premise,” CCC wrote. A March inquiry about a 2017 Honda Civic found Mitchell declaring test welds a not-included procedure — though welder setup was included.